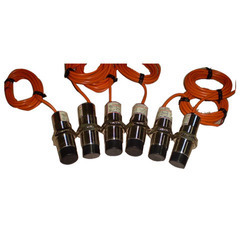 We are an manufacturer and supplier of Magnetic Proximity Switches. The "reed" contact of the switch changes when operating magnet passes-by within the sensing range of the switch. The magnetic pickup will generate signal when geared wheel rotates. These switches required a magnet for there operation. The magnet is supplied with the switch.The reed element which is sealed in the switch operates when the magnet passes nearby. Capacitive Proximity Switch and Sensor works when the object enters in the sensing zone of the switch, capacitance between two plates of capacitor (one plate is represented by electrode at sensing face of the switch and another by all surrounding material which is connected to the earth) changes. As soon as capacitance value crosses preset level, oscillator starts. This change is detected and resulted in an output signal. 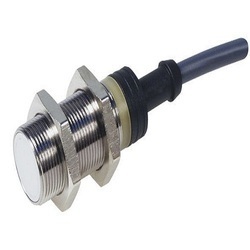 Capacitive Proximity Switch is a solid state device to sense position or level of any material. Available Sizes: M 18 M 30 M 50 / M 48 mounting. Sensing distance in mm for object not connected to earth 3 20 30, non flush for object not connected to earth 2 10 15 Flush.Above sensing distance relate to mild steel target. Apply following correction factor for object other than mild steel. We are looking for queries majorly From Ethiopia, Eritrea, Djibouti, Somalia, Egypt, Sudan, Madagascar, Mauritius, Comoros, Uganda, Rwanda, Burundi, Kenya, Tanzania, Zambia, Afghanistan, Turkey, Sudan, Iraq, Iran, Nigeria, Georgia, South Arabia, Germany, Poland and Greece etc. Kindly Refer the pdf for additional information. We offer Capacitive Proximity Sensor that have optimum sensing position, speed, direction, revolution, linear speed & counting. We specialize in manufacturing 1700 varieties in the product range designed for varied industrial applications. Capacitive Plastic ENCL When the object enters in the sensing zone of the switch, capacitance between two plates of capacitor (one plate is represented by electrode at sensing face of the switch and another by all surrounding material which is connected to the earth) changes. As soon as capacitance value crosses preset level, oscillator starts. This change is detected and resulted in an output signal. 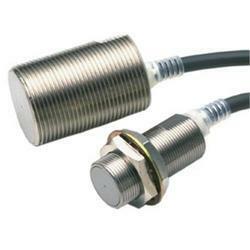 Capacitive Proximity Switch is a solid state device to sense position or level of any material. M 18 M 30 M 50 M 48 mounting. Sensing distance in mm for object not connected to earth 3 20 30 non flush for object not connected to earth 2 10 15 flush. Above sensing distance relate to mild steel target. Capacitive proximity switch senses all metals and non-metals. The sensitivity of switch also depends on the surrounding environment. Therefore each switch is to be adjusted at the site to get best results. A multi turn potentiometer is to be adjusted to increase or decrease the sensitivity. Slowly turn the potentiometer clockwise to increase the sensitivity. Extreme sensitivity is achieved when load and ‘led lamp’ remains continuously ‘on’ irrespective of object. This is maximum limit of the sensitivity.Reduce the sensitivity by at least 2-3 turns than maximum value. 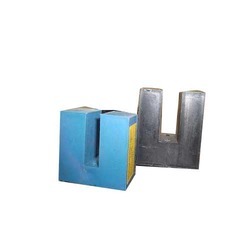 When switch is used for controlling level, sensitivity is to be set to minimum applicable so as to avoid false tripping by thin layer of powder deposited on the switch. We are a manufacturer and exporter of Slot Type Proximity Switch. These can be availed from us at very affordable prices. 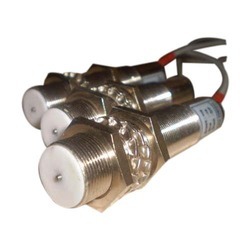 Manufacturers & Suppliers of DC Proximity Switches. 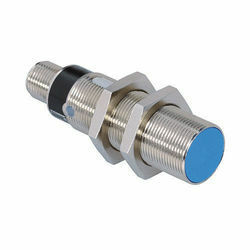 Manufacturers & Suppliers of Sensor Proximity Switches. Manufacturers & Suppliers of AC Inductive proximity Switch. 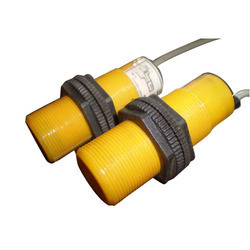 We are the prominent manufacturers & supplier of RTD PT 100. 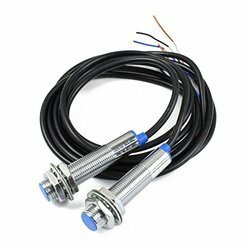 Looking for Proximity Switch And Sensor ?